Guitar stand ΤΕΑΜ "PLATINUM". .. Guitar wall hanger ΤΕΑΜ "PLATINUM" ..
Acoustic guitar stand IBANEZ .. Double guitar stand ΤΕΑΜ "PLATINUM". 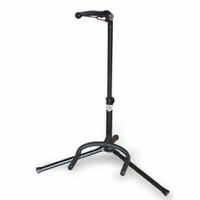 ..
Electric, acoustic and bass stand IBANEZ.Light weight and stable Ibanez guitar stands can be fol.. Triple guitar stand ΤΕΑΜ "PLATINUM" ..
Electric guitar and bass multi guitar stand 5pcs IBANEZ. ..